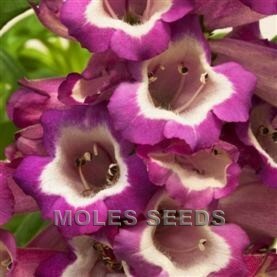 This exciting new hybrid provides superior garden vigor and flowering. It’s beautiful bicolor unique large bell-shaped flowers adorn well-branched plants that attract butterflies all summer. 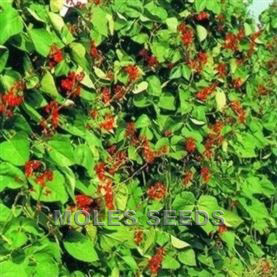 Plant Arabesque in full sun in the landscape adding height to the middle of the flower bed or in containers. Remove spent flowers to encourage continuous flowering. . 15-20cm. Perennial, treat as an annual, sow February-March,cover lightly with vermiculite, 2-3 weeks at 18°C. Prick out into 9cm pots after 5 weeks, grow on at 14-18°C. Sell in flower in late Spring/early Summer. 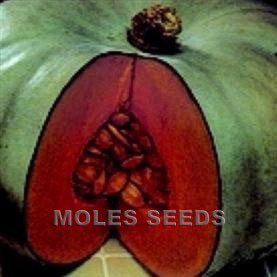 2,000 seeds per gram. Sell in: 12cm pots or larger, in flower. End Use: Borders, containers. Jingle Bells also as a cut flower.